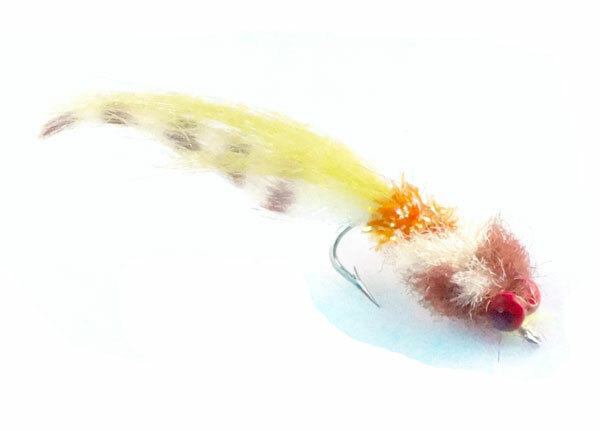 Pat Dorsy’s Kwan Fly was created for the backwaters and flats of South Florida developed initially for bonefish. The Kwan is a very effective redfish fly in most conditions. It’s a good crab imitation but unlike most crab flies it can be stripped for cruising reds. Its easy to tie and a very productive pattern for almost anywhere in the Gulf of Mexico and the Caribbean. This version is the original but with sili-legs. We use this everywhere! Tie is small for bonefish and big for redfish.